Enjoy the newest development in Arcade Gaming – Virtual Reality. VR joins Xtreme Action Park’s extensive 5,000 plus square foot Arcade Gaming Center with interactive, free roaming virtual reality adventures. With technology and graphics that are so high-tech, players can fully plunge into an alternate universe. It’s Not Just a Game, you’re going on an Adventure! Duck, dodge, spin, and shoot – Our VR systems do real-time tracking on your hand controllers, head, and upper body for life-like movements and experiences. 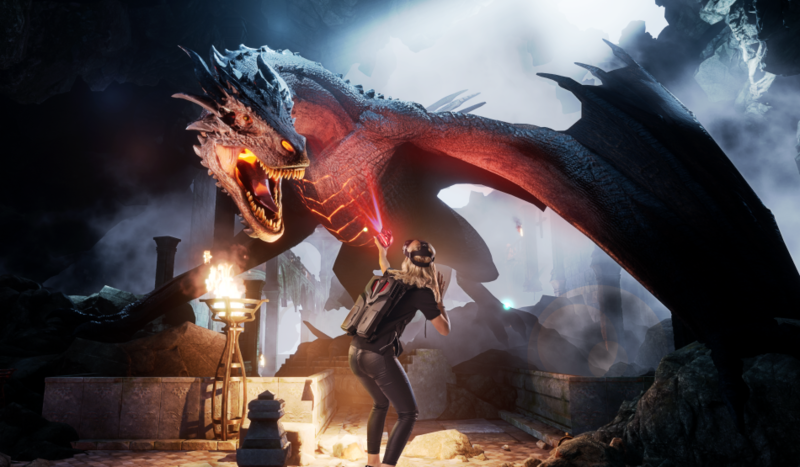 State-of-the-art virtual reality gaming platforms offer the most advanced technology and graphics which help to fully disconnect from reality and transport you to amazing new worlds. This assists in promoting teamwork, communication, and fun! 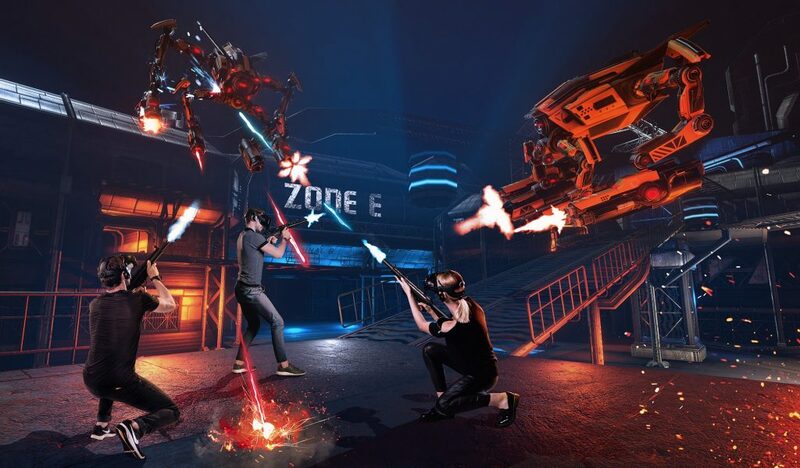 Xtreme Action Park’s VR Arena has Single Player and Multiplayer experiences. Both options allow players to experience an “oh-so-real” infinite gaming universe, mapped out on a 15 ft x 15 ft area. Like taking a Leisurely Stroll… thru a Medieval Castle. Well, maybe not “leisurely.” There is a dragon lurking! There is no competition, or battle, or race against the clock in Single Player games. Meet new creatures and explore new worlds – all at your own pace. This VR experience truly takes you out of the hustle-and-bustle of daily life and transports you to a foreign land. It’s like a mini-vacation… but we did mention the dragon, right? Get Transported to Amazing New Worlds… with Friends. Why game alone at home when you can have a highly immersive and fun experience with your buddies? Each player wears a VR headset through which they can see, interact, and communicate with their teammates and/or their virtual world, both in real time and in their chosen 3D virtual dimension. Try Something New – Multiplayer options make our VR Arena the perfect venue for your next party or corporate team building event. Contact a planner today for an event that is literally out of this world! When in game, players shall not horseplay, purposefully damage equipment, leave their designated play area, or enter another players’ play area. Food, Drinks, Candy/Gum are NOT permitted into the VR area. No Running or Jumping. No Flash Photography. An age requirement of 8 years old and a height requirement of 48” tall must be met to play. Virtual Reality Gaming offers a thrilling, intense experience, which may not be for everyone. It is recommended that you do not play if you have any of the following conditions: epilepsy/seizures, recent surgeries or illnesses, heart conditions, neck/back/bone conditions, pregnancy, high blood pressure or aneurysms, or under the influence of drugs or alcohol are not recommended to play.